While working on a not-yet-ready-for-primetime project, I was researching the performance of the notoriously bad Houston Crime Lab. I'm having trouble making progress on my project because I keep following links related to the lab's horrific work. The last one I followed prompted me to write this post in which I will shamelessly ask for your assistance. The case is that of Preston Hughes III. He was convicted in 1988 for the stabbing deaths of 15-year-old Shandra Charles and her 3-year-old cousin Marcell Taylor. He has been on death row ever since. For the math impaired among you, that's 23 years. His conviction has been reversed once and then re-reversed. He does not yet have an execution date. Here's the issue that drew my attention to the case. The crime lab conducted the blood test on the alleged murder weapon for the first time during the trial, right in front of the jury. The knife seized from Mr. Hughes' apartment which was introduced, by the prosecutor, and admitted into evidence as the alleged murder weapon was tested in the courtroom, on Tuesday May 02, 1989, by a Forensic Expert who performed a chemical analysis on it. The results of the chemical analysis revealed the knife tested negative for human blood, positive for animal blood. Beyond what I've written here, I know nothing of the case. I'm not even claiming that I have the information in this post correct. It is my hope that one of you will volunteer to look into this case, summarize the evidence for both prosecution and defense, and analyze the case as you have been doing recently with other cases I have been posting. To ease your discomfort, I will write the final post if you wish, or I will write it with you, or I will simply stand aside and allow you to write it all yourself. This one feels bad to me. I don't want to let it be until Preston Hughes III is within days of execution, but I simply cannot get to this case soon. 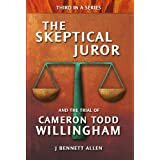 Since writing this post, I have gained access to the testimony of the forensic examiner who tested the knife while on the witness stand (in the absence of jurors) then testified to his findings (in the presence of jurors). According to the transcripts I read, he claimed to have detected blood, but could not determine whether or not the blood was human blood. He did not testify that the blood was animal blood. I have since seen also that Preston Hughes claims the transcripts have been altered. While I'm quite skeptical of much of what the authorities claim, I have no reason to doubt the integrity of the trial transcripts. 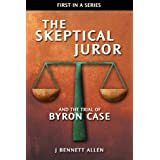 I am rather new to this site but have been interested in wrongful convictions for a long time. I would be happy to look in to this but wonder if anyone else would like to help or if there are any pointers you could give me that could help since I am new at this? 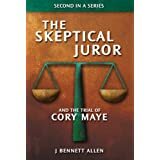 Email me at skepticaljuror@gmail.com and I'll share some ideas with you on how you might start.